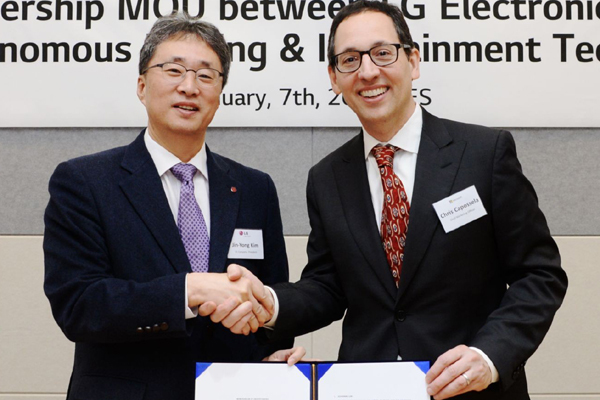 LG Electronics (LG) and Microsoft entered into a memorandum of understanding to enhance and further grow LG’s autonomous vehicle and infotainment system business. Under the terms of the partnership, LG will accelerate the transformation of its existing digital platform for the vehicle industry, seen as key growth engines for the company, by leveraging Microsoft’s Azure cloud and artificial intelligence technologies along with LG’s future self-driving software, said a statement. In addition, LG plans to build innovative digital development and testing grounds employing state-of-the-art technology. High-performance computing (HPC) and graphics processing unit (GPU) supported by Microsoft Azure will drastically reduce the time required for LG AI self-driving software to learn and evolve. Road and traffic patterns in cities that would normally require more than a full day for self-driving systems to comprehend would take only minutes with Azure, it said. Azure can help AI self-driving software learn diverse patterns displayed by drivers as well as recognize and distinguish between pedestrians and other objects. By embedding AI self-driving software enhanced by Azure within the ADAS, performance of the DSM and Multi-Purpose Front Camera can be dramatically improved.